A memorable insect encounter on public lands. 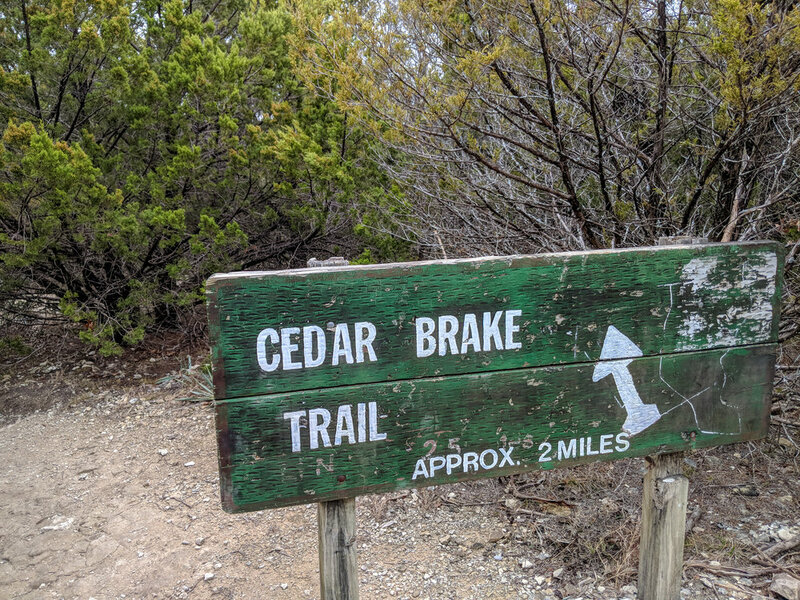 I was searching for a place to hike that wasn’t one of the tired, old regular places in the DFW metro area. I decided that the trip four hours north and east to the Ouachita National Forest would be a good choice for that day of September. There was a scenic byway and plenty of trails so I figured I’d get an early start and and hike as the sun rose over through hills. 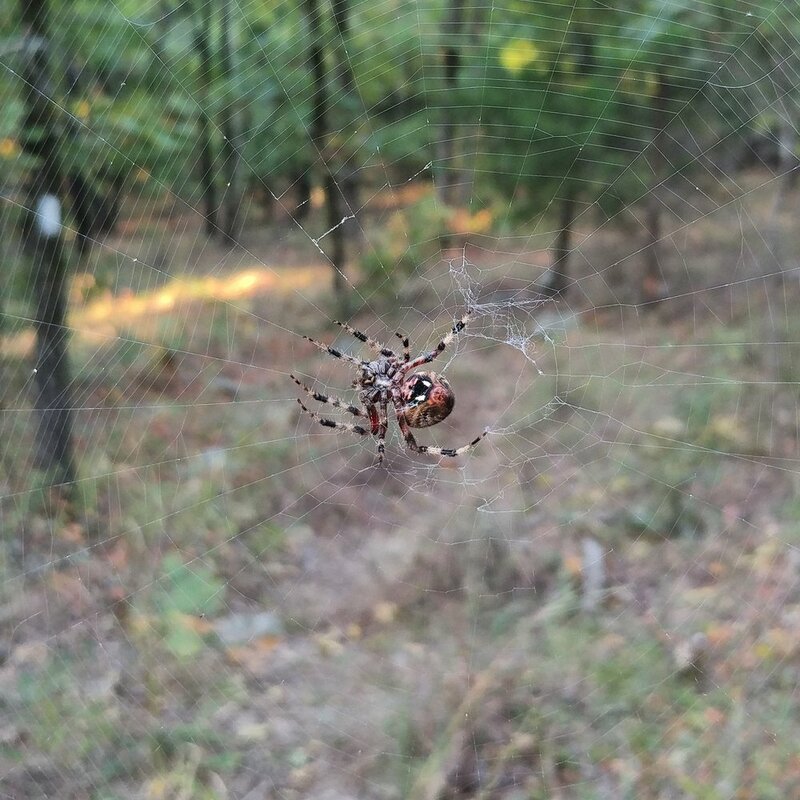 I was aware the hike could encounter snakes, spiders, and other insects but what I’d find was pleasantly surprising. The day was starting off right with plenty of sun and a nice breeze. I started off on the trail, dodging the usual spider webs as the first person out, and it just did not end. The spider webs were THICK - both in web intricacy and quantity. My memory of this hike was one of annoyance; how dare those spiders try and stop me from those gorgeous hilly trails? Spiders were commonplace for hikes around Texas and the surrounding states but seeing a real live walking stick was a treat. I was paying close attention to the branches at the point of discovery because I didn’t want to disrupt a spider or get one on my body. I looked over against the yellowing leaves and saw the stick move and the move some more and then it finally clicked - it was a bug! The walking stick was a pleasant surprise encounter and one I did not fear. The creature didn’t really move that much, beyond the little bit to cause notice, so I snapped a few pictures and went on my way pretty excited to see something new. Since then I’ve had many encounters with various spiders, scorpions, and other bugs but nothing nearly as unique and interesting as the walking stick from Oklahoma. I’m not a big history fan, generally speaking, but I am not closed off to learning about specific topics if they come about. What I really mean to say is that I do not seek out historical texts or books, but will read through something quick and easy to digest. I do enjoy learning about culture, archaeology, and geology which all explore history in different interesting ways. One group of historical figures I couldn’t live without are the big trees of the west coast. The redwoods, giant sequoias, and various other large and old trees are some of my favorite living organisms in the world. I first saw these big trees back in 2008 and have been in love with them since then. These trees age gracefully and are a vital part of the ecosystem and region as a whole. What would life be like without big trees? These specific types of trees aside, I grew up with very old maples in the front yard and super old apple trees in the orchard. Trees can teach us how to adapt and thrive, even in the worst conditions over 2000 years. That arch didn’t form overnight. I’m not sure how many years it took Delicate Arch to come to the present state, but thank goodness it did. Have you been to Delicate Arch, up close and personal? I have and it was insane. To think erosion did that, over so many years is crazy. This iconic rock formation is a piece of history to me. 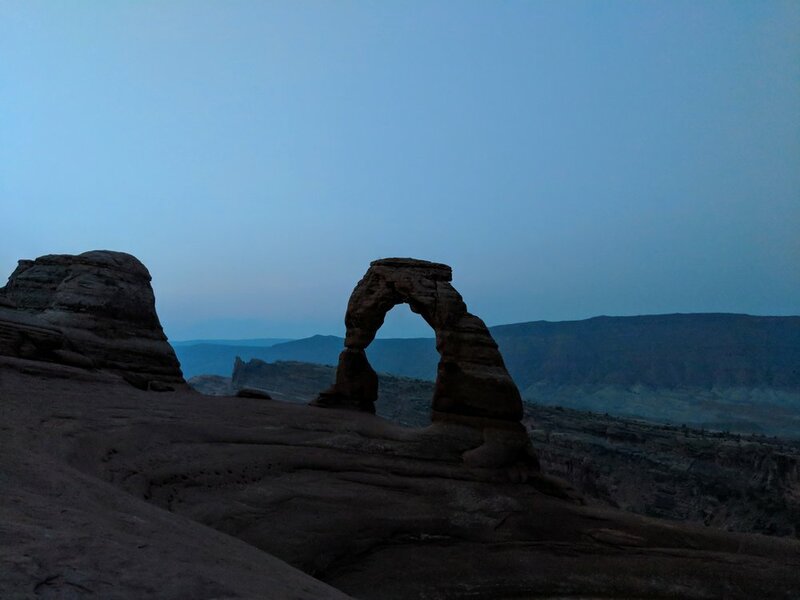 When I went to Arches, I learned about the history of the park, the history tied to the geology, and the history of the people who inhabited the land. Speechless at the Grand Canyon. The first time I saw the Grand Canyon was October 12, 2011. I was driving back with a friend from Las Vegas and we stopped at the North Rim and I was awestruck. When my dear friend Ashley and I visited the South Rim in 2013, I was awestruck again. When I visited with my other half and dear friend Nikki in 2015, it was amazing in a new way as it was dusted with snow in places. The Grand Canyon is old. Think of the years it took for the Colorado River to cut through the earth and form that giant hole. Think of the people who live and lived there long before we stand on the paved path at the edge admiring. What a place, rich in history and culture. History may not be my “thing” but I am willing to embrace it on a case by case basis. Learning about these great trees or geologic formations is a form of history appreciation in my book. I’d be lying if I said that every time I go hiking, I am relieved of some stress or find peace in some way. There are some days, some trails, and some environments that just don’t do it for me. It’s completely personal and I know it is likely dependent on my head space of the day. If I’m at my local park, which has a freeway nearby, I’m often there just to bang out a hike and not escape from reality. The trails are great, the terrain fun, and there are some parts that are more secluded than others but overall it’s not much of an escape. If i go to this local haunt with a mildly bad attitude or a need to relax and escape, it’s not going to happen because my brain will focus on the billion park patrons and seventy billion cars flying by over yonder on the freeway. Every trail has a purpose for both my physical needs and my mental needs and after a few years, I have them all figured out. When I need to fully escape, collect my thoughts, and feel the world disappear I head to the west. Texas has red rocks and canyons. I can’t always afford to fly to the Pacific Northwest, where I find peace on every adventure, so I drive to the state parks in West Texas. I’m fortunate to have a good car and a job that allows me to get out of the city and escape into the horizon. I recently visited Palo Duro Canyon State Park - the Grand Canyon of Texas. This place has red rocks and blue skies and is only five and a half hours away. I was in a sort of “blah” mood recently, so I drove out there and spent 10 miles alone with myself and quickly focused on my immediate surroundings. I was watching the light dance around the canyon - bouncing off the little hoodoos and red rock walls. I watched the clouds drift through the sky and got to breathe in that crisp winter air with hints of juniper. My phone and watch were in airplane mode, only there to track my path and take photos. I had disconnected and it felt amazing. These trails were not free from other people, but the one I chose was mostly empty compared to other popular spots. I stopped often, because my hikes aren’t about speed, and I would take in the view and write a little note about my thoughts or what I observed. I stopped to take a closer look at the rocks, the plants, and the birds. I’m not saying Palo Duro Canyon is my ultimate spot, but it is one place I know I can go in the dead of winter and be somewhat alone with myself allowing a true escape. If I had to pick a place where I felt 100% free from any weight or stress it would be the Olympic Peninsula. I’m not going to pinpoint one spot because I spent a solo weekend all over last March and it was the absolute best solo trip I’ve taken to date. I love to meet up with people, be shown around, and socialize but there is just something about a solo trip that really stuck with me. When I flew to Seattle in March, I expected a rainy weekend of hiking and was ready for it. I didn’t have any plans to meet up with anyone and didn’t have any intention of doing so. My first stop was the Mt. Storm King trail. My phone was mostly out of service and I had it with me for photos - a trend you’ll see. I hiked, alone, without really seeing anyone along the way. The area, the trail, and the experience was new to me. I had nothing better to do than focus on my feet, the sky, the trees, the birds, and the breathtaking views. When I get lost in the trees, figuratively, the world begins to melt away. My financial woes, my family woes, my minor modern world problems all fade to the background, or away completely. When I’m hiking in the northwest I find a new perspective because I’m removed from my world and placed in a new one. 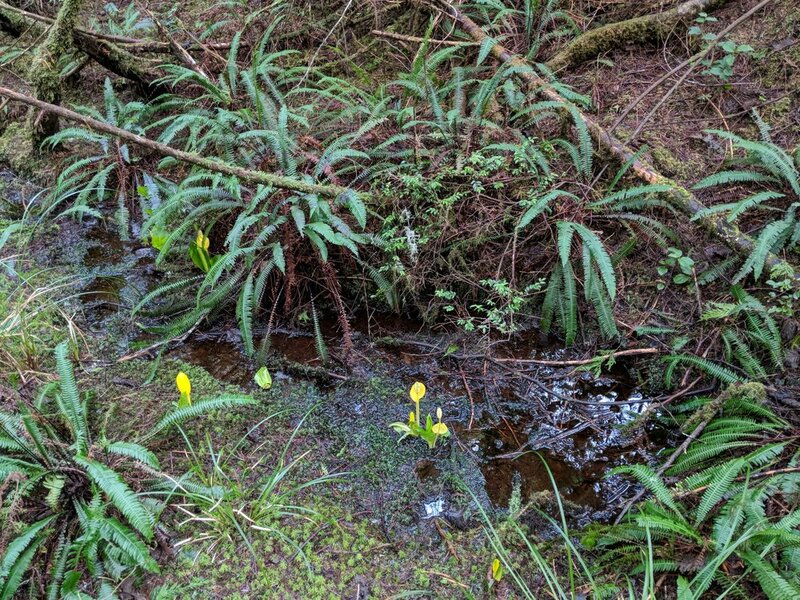 When I hiked the Ozette Loop I hadn’t had phone service since the day before early on. I was truly removed from the world and it was the best. I set out on another new and exciting adventure through the trees to the coast. I had no worries, no problems, and no issues during those hours. I stopped to take as many photos as my heart desired, I stopped to really take in the swamp, and then I stopped dead in my tracks when I heard the waves and smelled the sea air. The only things on my brain during that hike were related to the moment I was in at the time. What a treat, right? The northwest, and specifically the Olympic Peninsula, has always been a favorite but from that weekend forward it is where I go (physically and mentally) to relax my brain. I hope you can find some peace in nature this year, this month, and/or this week. Go find your happy place! I’m a supporter of shutting down public lands with gates as soon as the government shuts down. If we can’t pay rangers and employees to keep it safe and clean, I can’t imagine the general public will do well unsupervised. Don’t believe me? Google news stories about Joshua Tree or Yosemite, two of the most visited parks in the country and see what comes up. Go ahead, I have a minute… I’m sure the articles weren’t all pleasant. The reality of a shutdown is that there aren’t law enforcement agents and employees monitoring these special places thus leaving them wide open to all kinds of behavior. Sure, the people and the bad behavior happen while the government is open, but there are people there to address them. If a state governments want to chip in some cash for operating expenses, I’m all about keeping them open if some form of funding is available to ensure employees get paid and park operations can be covered. 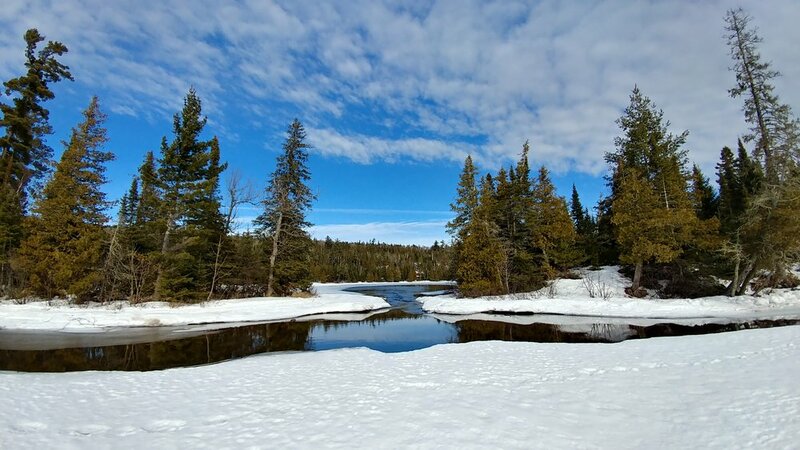 If your favorite public land spot is closed, there’s probably some alternatives to check out. State Parks are open during a federal shutdown and can offer gorgeous trails and camping. If you’re looking for hiking that you’d normally find within the gates of the parks, check out state or national forests. County and city parks are another great alternative and are probably even closer to home. Plans may be ruined and alternatives may not be exactly nearby, but remember that people are going without paychecks and some are even working without them. We must press on with education. We must start young with education. Every opportunity we get, we need to spread the words of Leave No Trace and other outdoor ethics based pieces of wisdom. We need to speak to the ways of the people who still call this land home, despite government boundaries. We need to respect the land and cultures as well as educate the general public on the importance of the preservation surrounding the Indigenous people of this continent. There is always something to learn and no time like the present to learn it. It’s time to volunteer and donate as able. Public lands need all the help they can get, shutdown or not. Pledge your time and money to these places you want to see throughout your life and for future generations. Offer to build trails, clean up public lands, and educate the public through various programs. Always keep them clean, but always pick up other trash if able to do so. We’re all in this together. If we come together for the common good, we can achieve great things. 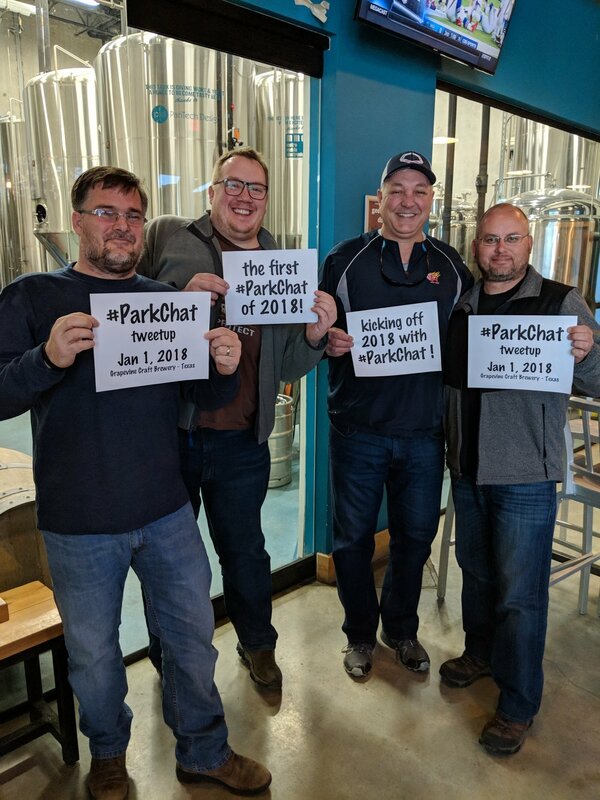 Find that special organization building the parks up and help them reach their funding goal or find a way to help raise money for them if you can’t spare the cash. I’m going to try my best to be a part of the solution by helping more when possible and I urge you to do the same. Maybe the fee is already too high for the annual pass? Maybe it’s not high enough? The debate over park entrance fees and the annual pass will never end. What we do know, it all goes to a good cause regardless of the way you pay it. Always pay your public land fees - even (especially) during a shutdown. Buy that annual pass, gift it to your outdoor friends if you can and they can’t. We have to support our public lands, shutdown or not. Generally speaking, I didn’t hike as much as I would have liked last year. I’d like to use that as fuel to find even more public land hiking spots to explore. I have favorites that I’d like to visit again, but there are so many I haven’t even set foot on. I have several National Forests under 6 hours from home, so I’ll start with those as weekend adventure. From there, I’ll start finding more public land sites in cities I can fly to for cheap or on my way to another destination. I have high hopes of a summer road trip that involves many public lands from Texas to Oregon and back. Speaking to the previous topic of more hikes, I plan to go hard on the weekends hiking as much as my schedule allows. I plan to hike once, but if I can fit a whole day of hiking in or multiple locations, I’m going to do it as often as I can. I want to do more public land camping during 2019 weekends as well. This will hopefully include national and state public lands. I want to learn as much as I can this year. That’s a vague goal, so I’ll get specific. One, I want to learn about the history of the land - the people who were there first, how they lived, and the culture in general. What can we learn from them and how can we exist together without continuing to crush their culture? Two, I think the first item will lead me to wanting to learn more about the geological formations of public lands. Third, I plan to make note of plants and animals I see to identify and learn how they support the ecosystem. I am not uneducated on these topics, I just feel they deserve more of my time and that my time would be better spent on them in lieu of television or movies. Trails need building, trash needs removing, and organizations need volunteers. 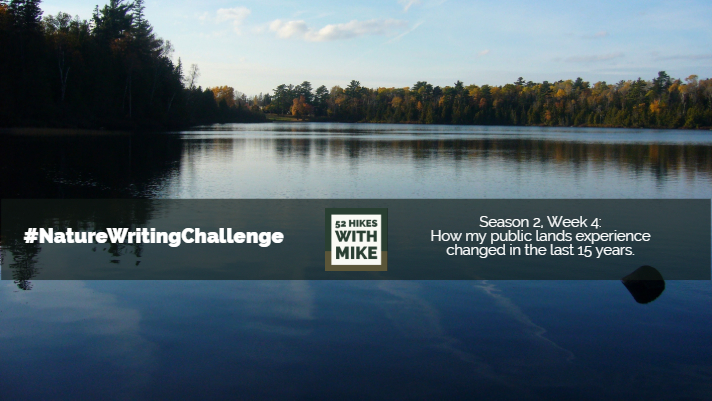 I plan to devote more time to helping public lands stay beautiful. I intend to join trail cleanups and maintenance events locally, as well as out of town. I will continue to search for trash on my usual walks and hikes and make an effort to talk to people if they are violating the rules. I renewed my membership with Leave No Trace and I encourage you to join and support them if it is in your budget. I plan to support other conservation organizations throughout the year, as money is available in my budget. As a household, we purchase an America the Beautiful Pass every year. Whether or not we “get our money out of it” or not, I buy one. Even if I go once, I feel I’m getting a good bang for my buck. Knowing these places exist for me is simply enough. Olympic National Park - I’d like to visit for the third year in a row and hike a new trail. There are plenty of even more specific places and activities I’d like to do, but this is a general idea to lay it out for 2019. I want to generate less waste and visit public lands more efficiently both for the earth and my budget. I’m going to continue to document, track, and promote my adventures on public lands. I want to continue to share the knowledge I gain and promote a balanced experience for all people. The second I saw this topic, I knew instantly I wanted to talk about my trip in the spring to the Olympic Peninsula. I know, I’ve talked at great length about the Olympic Peninsula and Mount Rainier, but I can’t get them out of my head and I could go on and on about them forever. I feel the same way about the North Rim of the Grand Canyon, the Redwood Forests, and Death Valley. 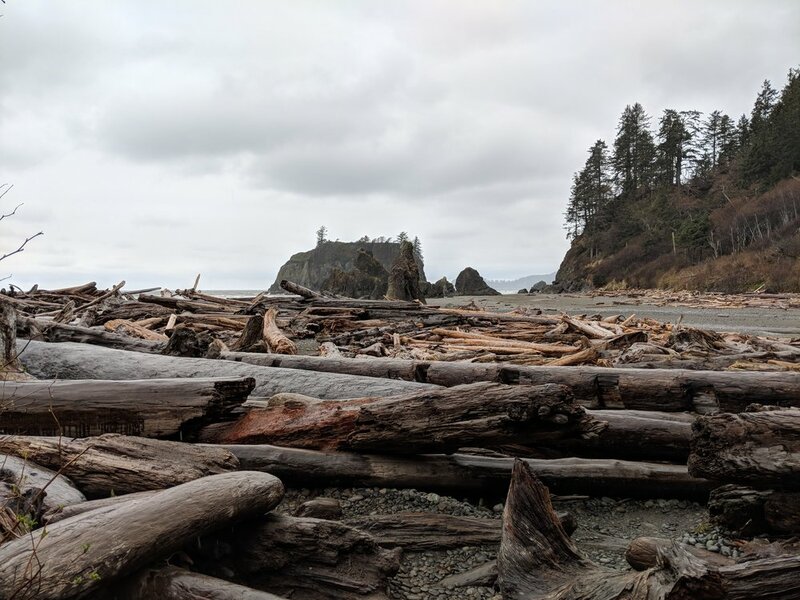 But, in 2018, I visited the Olympic Peninsula twice and the first time was truly breathtaking and memorable in such a positive way. I started 2018 with hiking and adventure goals. Though I’ve fallen short of what I was hoping for, the few trips I did take were more memorable than I could have imagined. I planned a spring solo trip to the northwest because I had been all over in 2017 and felt I needed to live up to those memories. 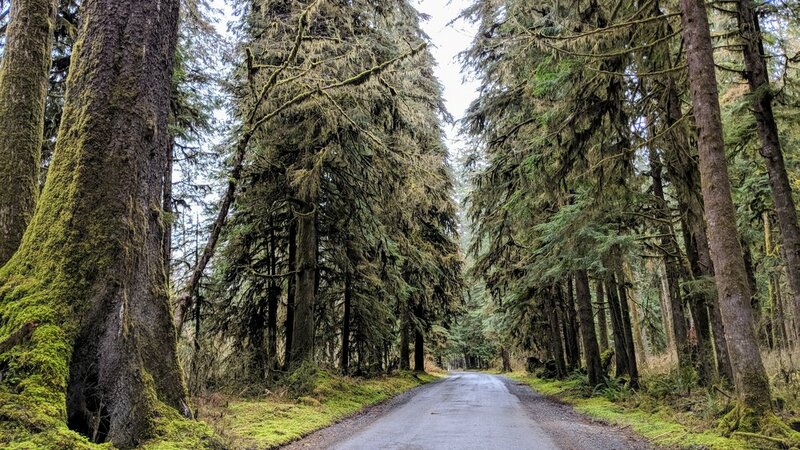 I’m glad I planned the trip and tried to live up to the trips of 2017, because the trip to the Olympic Peninsula out shined the majority of them all. I got a cheap flight for Easter weekend and had the Friday off from work, so what better weekend to head to the Northwest? I flew in on a Thursday night, around midnight, and drove to the Mt. Storm King Ranger Station. I had originally planned to park at the gate to Staircase and walk in, since the road was still closed, but As I had a last minute suggestion to hike Mt. Storm King and wanted to take it. 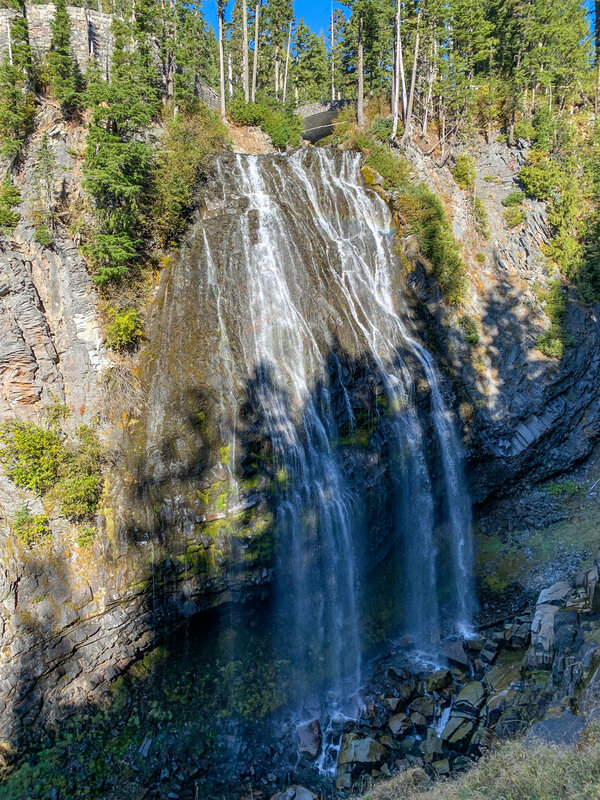 I did a quick change at the restroom, and hiked to Marymere Falls. I was determined to enjoy some spring waterfalls, and this beauty did not disappoint. From there I hiked back to the giant rock at the base of the Mt. Storm King trail and headed up. I’m so glad I followed the advice and got to see Lake Crescent from above. What a treat. Being from Texas, the trail was a bit steep, but worth every ounce of sweat. From Mt. Storm King, I headed west to Sol Duc Falls. It wasn’t too busy and there was still snow in the woods, so that was magical. From there I went to my little cabin I had reserved up near the the Ozette Ranger Station. The Lost Resort was home for a night and the cabin was more than adequate and very quiet. 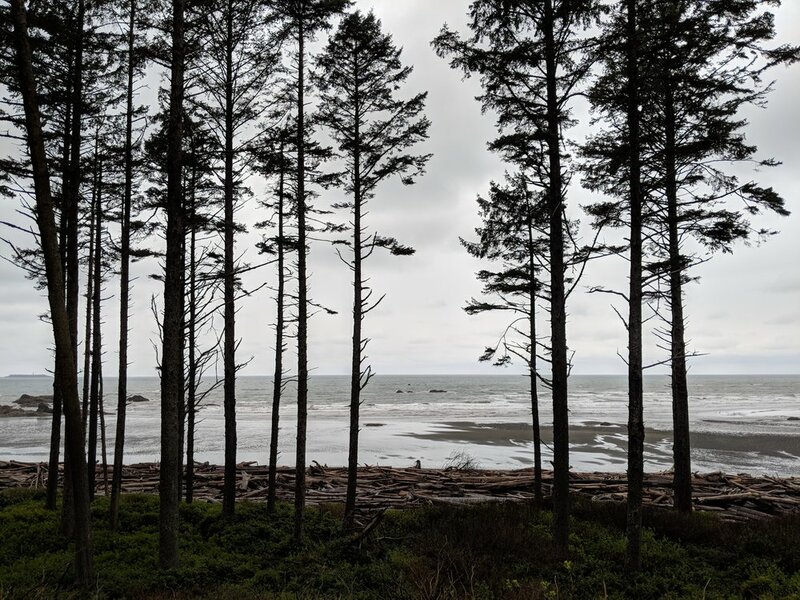 I had a good sleep and woke up to hike the Ozette Loop or Ozette Triangle. This loop trail was one of the highlights of my year, let alone this long weekend. I went from wet forests to open coastal prairie to the beach and back. 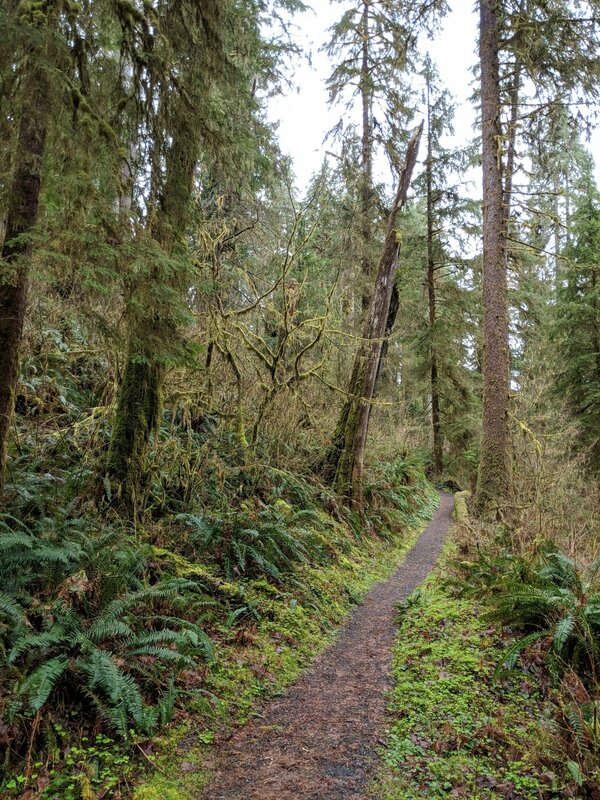 Everything was so green and lively and muddy, the fresh smells of the ocean and the musty forest were everything I could have wanted during a weekend on the Olympic Peninsula. I made a quick stop at the Hoh Rain Forest area and did a few laps through the mossy trees. After my hike, I made my way down to Forks to eat and get a motel room. I settled in and then took a little drive to Rialto Beach to watch the sun sink into the Pacific. What. A. Day. I woke up, rested and ready for the rainy day ahead. 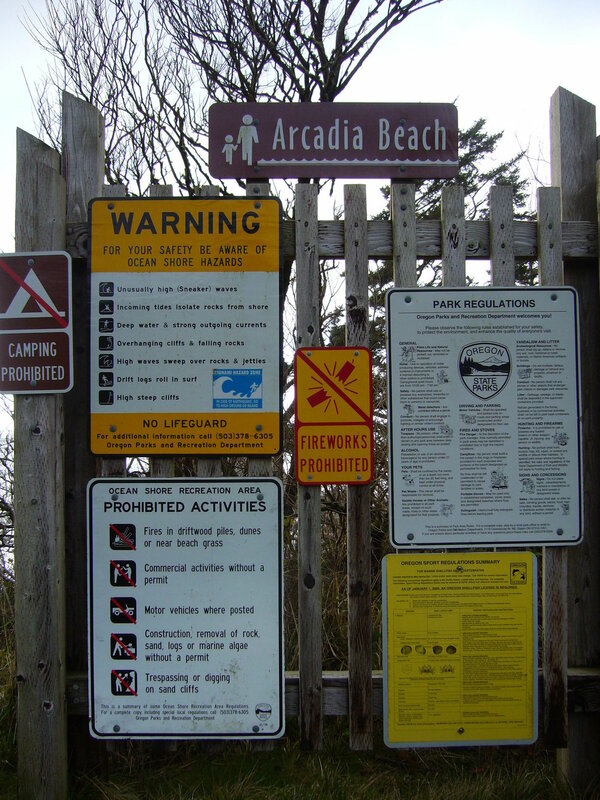 I had plans to maybe hike to Second Beach, but I didn’t want to get too muddy before heading to the airport so I settled on just visited Ruby Beach as planned. Settled, as if it was “less than” is not what I meant at all because Ruby Beach is beyond beautiful. The rain and fog made the beach beyond memorable. I left there and had a nice breakfast at the Kalaloch Lodge before heading back to the city. From there, I made the trek back to Seattle to visit the flagship REI before catching a movie and heading to the airport. This long weekend was quick, packed full of green scenery, and a period of time I’ll cherish forever. This trip left me wanting more, and so I made the trek back in October to experience the fall and see even more. I’ve been obsessed with the Pacific Northwest since I visited in 2008 and the second an opportunity arises to move up there, I’m gone. I can’t pinpoint one conversation with a stranger. I’m not always so good at reaching out to fellow public land users and being my normal outgoing self. I’m always friendly in that I say hello to people along the trails and will definitely engage in conversation if someone else starts one. If I’m headed a National Park, odds are I’m with someone and become even less outgoing because we’re focused on our time together. All in all, I think this topic of discussion has inspired to me to make it a point, or objective, to be more outgoing and take the time to have the random chat with other public land lovers. I have a series of moments I do remember, that were brief, that I’ll share. Arches - After hiking up to Delicate Arch, we were making our way back to the car and had a chat with a family from Michigan that noticed my friend’s shirt that had our alma mater displayed. I’ve had many conversations with people in Arches, actually, but nothing too lengthy overall. Always brief, but always friendly. I talked to a guy about taking morning photos, talked to an old couple about all of the places they’ve visited, and talked to people who saw my shirt (usually something about Michigan) and made an initial comment. Clothing related - I have had more interactions based on the hat, shirt, or jacket I am wearing. I wear a LOT of Michigan gear, in fact it’s probably annoying to many at this point, but I love being from there and it is certainly one of the most recognizable states. I LOVE meeting people from Michigan, learning about their experiences there, and ultimately if they love it or not. I’ve been called out to from across a parking lot and stopped on a busy sidewalk. I love it. Time related - I love being asked “what time did you start today?” when I’m coming back from an in/out trail as swarms of people are headed out. I’m an early starter, and I LOVE watching all of the people head in as I head out because I not-so-secretly love being asked how the trail was. I always love to give an opinion and try to read what type of hiker the person is, without being judgmental in a negative light. I love to give little tidbits to look for and point out great spots to take it all in. I love to share about any animals I’ve seen or flowery meadows. I love it. I’ve had excellent chats with rangers at the various parks and monuments in the US, but I don’t count those because that’s more their job. I have had endless chats with hotel and campground staff, but again, it’s their job to engage. I generally don’t mind taking time to chat, and I would love to do it more often. So, if you see me out here, ask how the trail was! Public lands are funded by the people which is why we all are entitled to enjoy them. Funded by the people is a broad concept but really just means taxes, private donations, and fees come together to pay the bills. I’m going to address the things I’d love to see in public lands but may not make sense to everyone or may not be financially feasible. I’d like to see all of our public lands managed in a more efficient manner. I envision one agency, under the Department of Interior, with various branches. Have a branch for the National Parks & Monuments, have a branch for the grazing lands, and have a branch for the forests. I know don’t know enough about it all, but I just imagine a more harmonious and streamlined management of all the lands we know and love. With streamlined management could come a streamlined leadership and staff. Not a reduction in number, but people all on the same team able to work together even easier. Simply put, we need to have our public lands made a priority and a budget fulfilled to address all of the back and future maintenance necessary for modern crowds. We need to pay our park rangers, park workers, and all people who manage/work the lands a fair wage. We need to invest in science and research and fully fund studies involving our public lands. Public lands are becoming popular, and really have always been popular. When I was at Mount Rainier a couple of weekends ago I was reading about the first car that came into the park and how modern cars flooded in and it was chaos. So many parks are overrun by the visitors that parking lots are full early on in the morning. Shuttles have popped up at a few locations, and seem to be alright, but more could be done. More shuttles at more parks, more transportation from major (or nearby) cities with direct routes to public lands. More options for people that may have few options to get out to public lands. More urban public lands would be a great way to introduce even more people to how great they are and what they have to offer. More people that respect and know them means more future stewards. Public lands need funding but they also need specific funding to be more ADA friendly. While it’s clear not every location can be accessed by everyone, many main places can be modified to allow more people of all abilities to see some of the best vistas on our public lands. My wish list focuses on inclusion, funding, and streamlining. There are endless other needs, but these are the stepping stones for so much more. With more funding and more accessibility, more education can happen and people can become more aware of how important these places are to our nation and the tribes of humans that hold them sacred to this day. We must teach the history of the land to ensure people respect where it came from and how important it is to so many to this day. We can’t have it all, right now anyway, so we need to keep fighting the good fight. We need to keep visiting, keep buying annual passes, keep respecting the land, and keep voting for people who make public lands a priority. 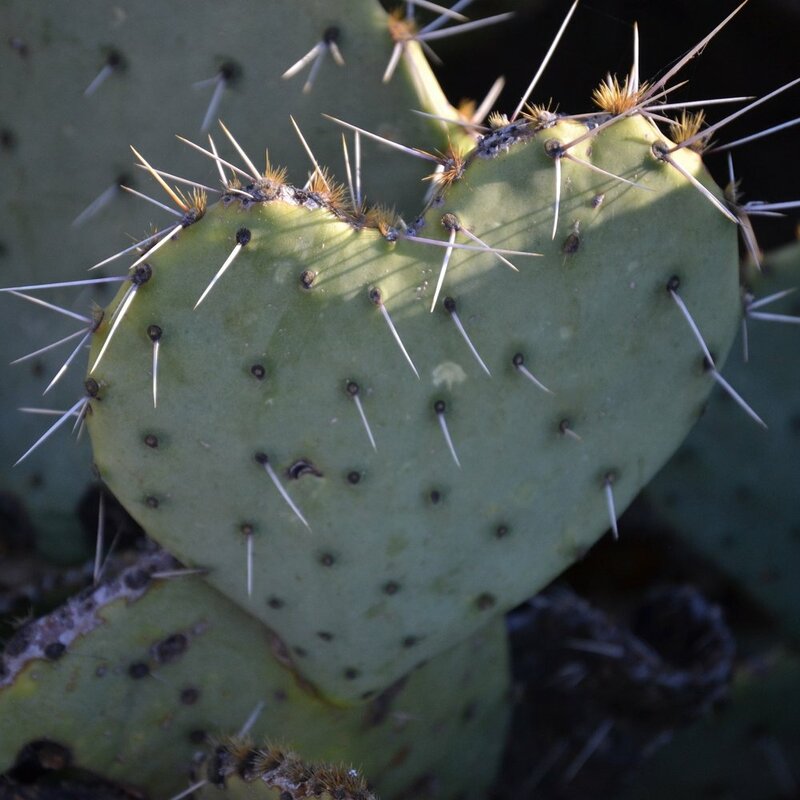 #NatureWritingChallenge - I Didn't Even Know the Desert Could Do This! 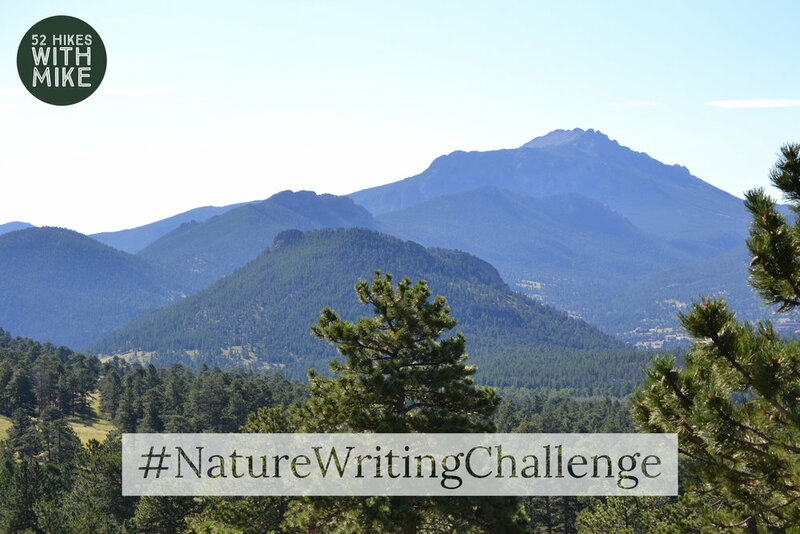 As with every #NatureWritingChallenge, this post was created, edited, and uploaded within an hour. Who knew the desert could bloom, and why didn't you tell me!? It was 2008 and my two great friends and I were on a road trip to see the west. I've talked about these road trips in numerous blog posts, but they're an important part of my love for public lands and road trips. We had taken a trip in 2007 and stopped at a few cool places, but wanted more out of this year so we planned some major stops. We started in the Pacific Northwest and made our way down the coast through the Redwoods and over to Sequoia/Kings Canyon and on to Death Valley. None of us had been to Death Valley, nor the other places on the list, so this was a first-time experience for us all. We entered the park, with views of mountains and started descending. The views on the way in were as if we had been transported to another planet. It went from giant trees to desert with snow capped mountains in the background so quickly. We stopped early on to take some photos and so my friend could check out the dirt - he was a geology major and is now a geologist. From there we went down to sea level, and of course stopped for a picture. From there we kept going down, with plans to stop at the historical sites along the way to Badwater Basin. As we stopped to take it all in, we realized we were in the midst of a desert bloom (or whatever we called it in 2008). In my current state of being, I know what a desert bloom is. I see all of the photos from the California desert and high desert areas in other states all spring long. Back then, before even researching a road trip destination too much, I had absolutely NO IDEA what a desert bloom was or that it could even happen at this level. We had stumbled upon, what I now realize, a brief window in time when people plan for and take vacation time to see what Mother Nature can do with colors in the desert. It was gorgeous! Yellow flowers across the desert, with snow capped mountains in the background. Simply amazing and unexpected. I look back at the photos, trying to remember what I was thinking and can only imagine it wasn't much. I'm not sure in 2008 we appreciated it as I would today, but I know it caught our eye and offered a nice experience nonetheless. I can't say the photos we took in 2008 do it any justice, but it was very windy and we didn't quite try too hard. Nowadays, I look forward to the time I'll be able to make a trip to the desert when the flowers are blooming and hope to do it soon. Enjoy these photos from the surprising and unexpected desert bloom of 2008 in Death Valley National Park. May you find some flowers this spring, wherever you are!